Providing you the best range of viscose flock powder with effective & timely delivery. This flock powder range is extracted from the viscose filament yarn, material used are nylon, polyester, viscose etc. It is manufactured as per the clients requirement as well. 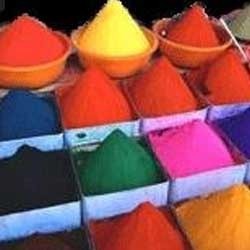 We offer a wide range of Viscose Flocking Powders that is processed in accordance with international quality standards. In order to ensure the quality of offered products, adroit professionals strictly check these products on well-defined parameters set by the industry. Apart from this, our offered range is highly demanded by our respectable clients for its salient features. Looking for Viscose Flock Powder ?